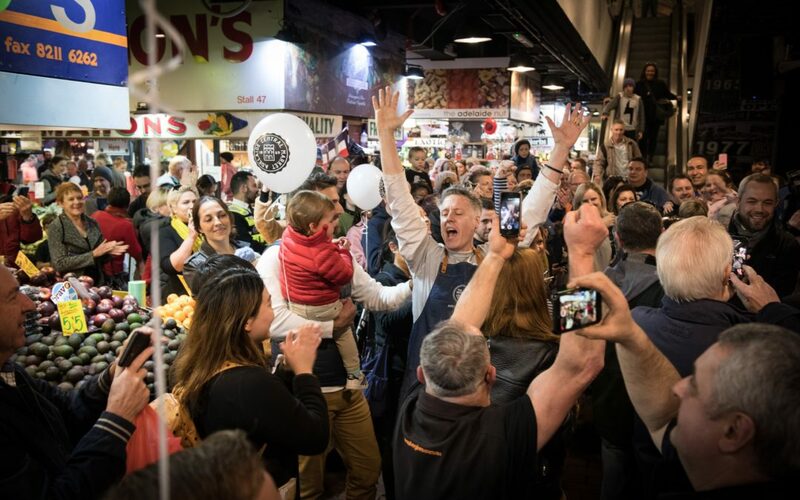 August 2018 - Adelaide Central Market: The City of Adelaide's premier food destination. Over 70 traders under one roof. 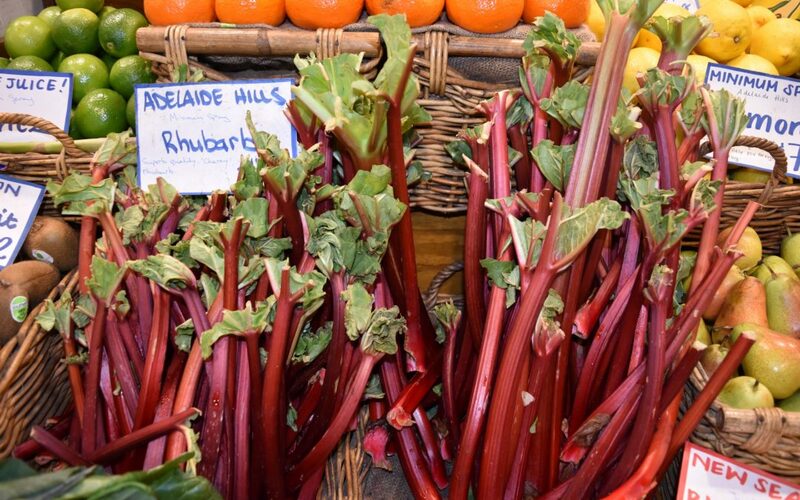 Rhubarb is easy to prepare and adds a tangy twist to dessert dishes.At first glance rhubarb can look a little unusual and difficult to cook with but rhubarb lovers will tell you there’s nothing like the tangy taste and radiant rose-red colour it adds to cooking. For an easy compote, trim and slice a bunch of rhubarb into 5cm pieces. Wash under cold water, place in a large mixing bowl with 1/3 cup caster sugar and 125g raspberries, tossing until evenly coated. Heat a non-stick frying pan over a medium heat and add rhubarb mixture, turning every 2–3 minutes to prevent sugar from burning. Cook until fruit becomes soft and sugar caramelises. The roasted rhubarb in the recipe above can also be used to top custard tarts, a pavlova, rice pudding or folded through whipped cream with crushed meringue for a quick fruit fool. Rhubarb crumble is so quick to make! Simply cook a bunch of trimmed, chopped and washed rhubarb with 1/3 cup caster sugar for 5 minutes or until soft. For the crumble, rub 125g each of our, butter, sugar together with 1/4 cup each of oats and almonds and 1 teaspoon ground ginger, until mixture is well combined and looks like coarse breadcrumbs. Bake in 180°C oven for 30 minutes or until crumble is golden. Cumbia Bar & Kitchen has arrived! 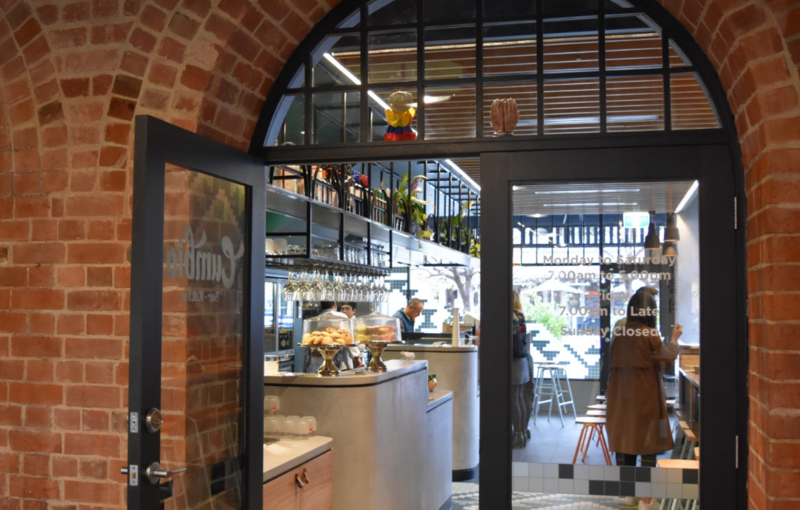 Colourful, inviting and homely… Discover a little piece of South America in the Market serving Colombian-influenced food for breakfast and lunch, as well dinner on Friday nights. Visit the team at Stall GR43 during Market hours (next to Central Market Books and Bakers Delight). It’s here! Check out the incredible addition to our Bastille Day celebrations in our Market this year! Thank you to State Opera of South Australia for their fantastic performance and wonderful surprise! Introducing our new Producer in Residence, Staazi & Co! 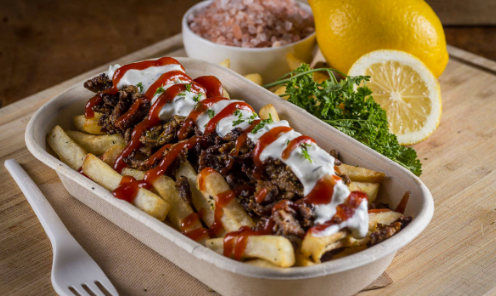 The team from Staazi & Co produce incredible vegan Greek food. Their commitment is to care for the welfare of all animals and the environment. All meals are made without the use of any animal products and ingredients are 100% plant based. You can find the team at our Producer in Residence stall until 25 August.